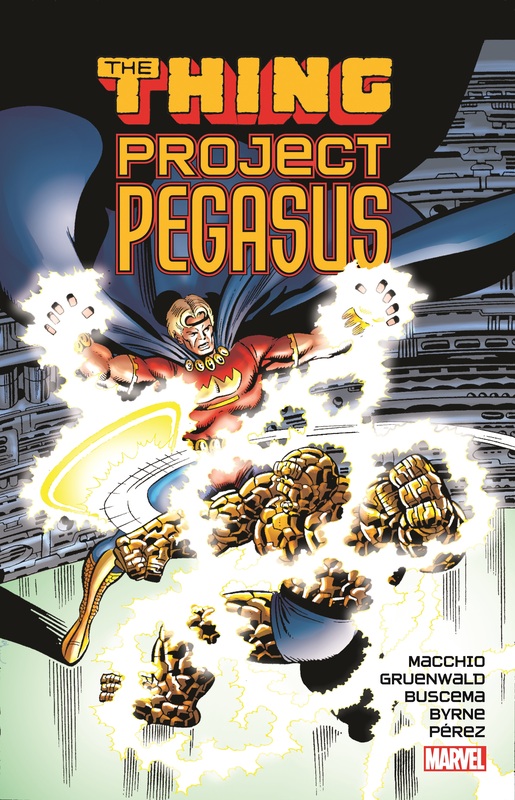 Project PEGASUS hires the Ever-Lovin’ Blue-Eyed Thing as its security chief — but what’s the point if the base is already filled with super villains? 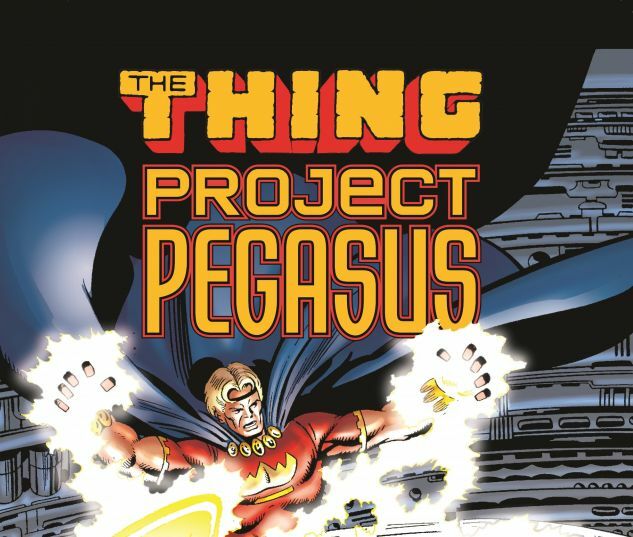 It’s the classic saga, featuring all your favorites — including Hercules and Thundra, Deathlok and Doctor Strange, Captains America and Marvel, Man-Thing and - classic Thing? Watch as bashful Benjy faces action in Olympus and the Nexus, and from Hollywood to Yancy Street! Gasp as three heroes debut new identities! And thrill to all the fun of Super Hero Poker Night! Plus: Will lending a hand protecting the facility from the Lava Men earn Spider-Man a spot on the Avengers? 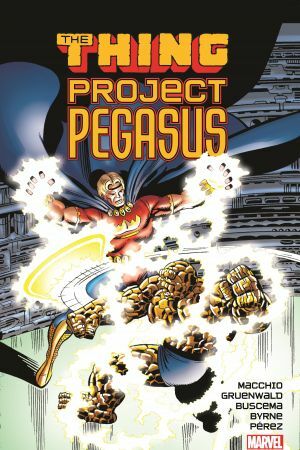 Or will a super villain riot lead to pandemonium at Project PEGASUS?! Collecting MARVEL TWO-IN-ONE (1974) #42-43 and #53-58, and AVENGERS (1963) #236-237.